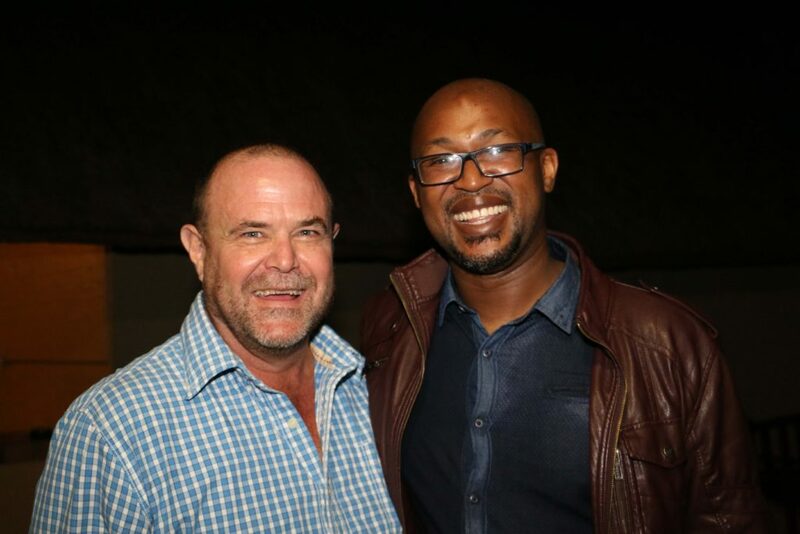 Funny-man Carl Joshua Ncube brought down the house last weekend at Victoria Falls Safari Lodge, where he was performing his hilarious show Wild Wild Valentines. The show, which he performed to a packed lodge, was in aid of the Victoria Falls Anti Poaching Unit, the organisation that combats wildlife poaching in the Vic Falls area. Left to right: VFAPU head of operations Charles Brightman and comedian Carl Joshua Ncube. Victoria Falls Anti-Poaching Unit head of operations Charles Brightman, who attended the show, said: “There was a wonderful response to the evening and VFAPU would like to thank Carl and the Victoria Falls Safari Lodge very much for their support. “It was a fun evening and a great turnout for Victoria Falls. Carl is very funny, with a Trevor Noah style of comedy,” Mr Brightman said. Mr Ncube was expecting to perform to tourists at the lodge as the sun set over the waterhole in front of the lodge, but was pleasantly surprised to see so many local residents in the crowd.